Features: Single Channel Active Video Transmitter; Long Distance Transmission of PA.. Features: Wall Mounted Installation; Passive Video, Power & Data Hybrid Transmi.. Features: Wall Mounted Installation; Passive Video, Power & Data Hyb.. Features: 4-Channel Passive Video Receiver; PAL /NTSC Real-time Video Transm.. 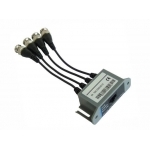 Features: Single Channel Passive Video Transceiver; PAL/NTSC Real-time Video Transm.. Features: Single Channel Passive Video Receiver; PVD (Power+Video+Data) Technology .. Features: Single Channel Active Video Receiver; Long Distance Transmission of PAL/N.. 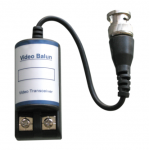 Features: 4-Channel Active Video Transmitter; Long Distance Transmission of PAL/NTS.. Features: 8-Channel Active Video Receiver; Long Distance Transmission of PAL/NTSC R.. Features: 16-Channel Active Video Receiver; Long Distance Transmission of PAL/NTSC ..
CCTV Cameras, CCTV DVR and CCTV Accessories at Great Prices! © Copyright 2011 CCTVCameraDVRs.com. All Rights Reserved.